Locking your car door is always a good precaution because you never know who might want to get into your vehicle. 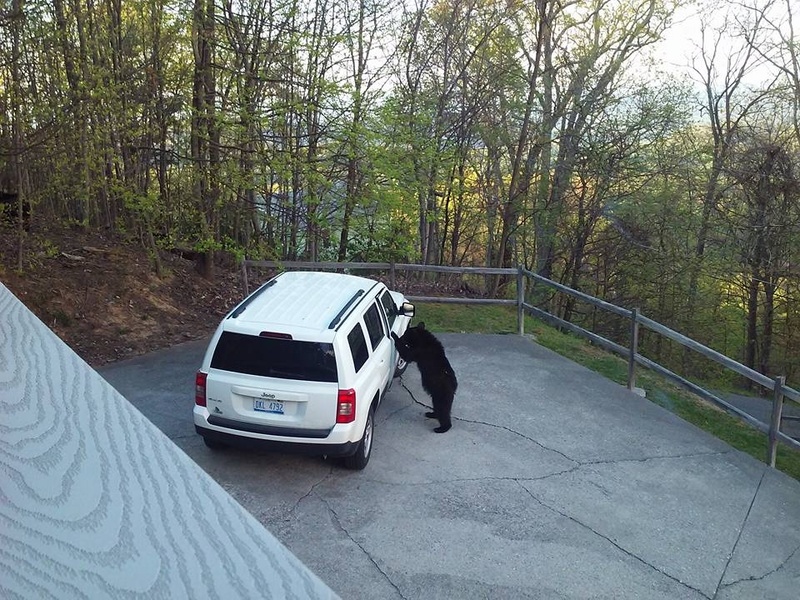 A few weeks ago in Gatlinburg, an East Tennessee couple learned this lesson all too well when a black bear cub let himself into their car! The entire incident was filmed on a smartphone and the resulting video has been shared thousands of times on social media and on local news stations. Visit My Smokies has all the details (and all the footage) from this crazy encounter. A group of friends was gathered at a cabin located off of Ski Mountain Road on January 13, 2018, when they heard the honking of a car horn. Upon further investigation, they found that the noise was being caused by a baby bear pressing up against the wheel inside one of their cars. The clever critter had managed to break into the vehicle, but unfortunately, he couldn’t figure out how to leave. To complicate matters further, the bear cub wasn’t alone. Just a few feet away, in the woods, the cub’s mother was lying down. The bear trapped inside the car was also briefly joined by another baby bear, who attempted to enter the vehicle from the back before wandering away. As you can see in the above clip, the couple used a car parked adjacent to the occupied vehicle as a home base for their attempted rescue of the baby bear. With the mama bear looming in the background, the pressure was on to release the cub as quickly as possible. About ten seconds into the video, the husband quickly throws open the other car’s door, hoping that the baby bear will exit the vehicle. Unfortunately, the door slams shut before the cub can make its way outside. So, what enticed the baby bear into the car in the first place? The woman who posted the video believes that it was the six dog treats inside the vehicle that proved irresistible for the cub. This theory is definitely consistent with other bear-related stories from the Gatlinburg area. Last summer, a black bear stole a cooler full of dog food from a man’s porch! Although no bears or humans were harmed during the incident this January, the car sustained a lot of damage. During his 15 minute adventure inside the vehicle, the cub chewed up the leather seats, removed pieces from the steering wheel, pushed the sunroof up, and scratched the glass. Interestingly, the box of Miller Lite in the backseat of the car remained untouched during the bear’s romp. Perhaps the cub knew that he was under the legal drinking age? This story raises an interesting question: are bears capable of opening car doors? Based off of this incident, and similar ones documented online, the answer appears to be “yes,” although it is an infrequent occurrence. 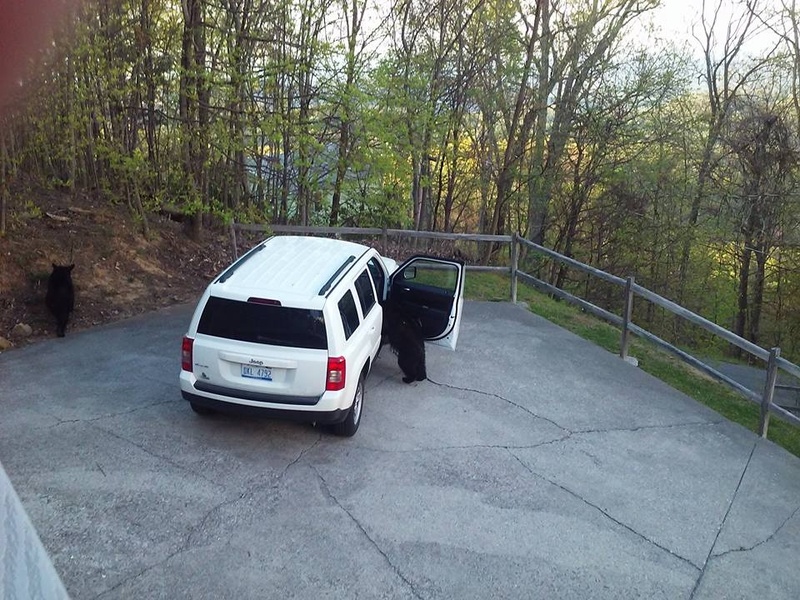 Just to be safe, we recommend keeping your vehicle locked throughout your vacation in the Smoky Mountains, especially if you have food inside. The best way to see a bear during your vacation is from a safe distance in the Great Smoky Mountains National Park. For some helpful advice, check out our Guide to Spotting Your Favorite Smoky Mountain Wildlife! https://uploads.disquscdn.com/images/4f55d99d01bb05fa6958a8019b7d3710da1fcdb912e3c2a3669e6c7912b52f37.jpg https://uploads.disquscdn.com/images/019babc09a88af94913387ebcacd330b06ebd299a6484ef824751172d258a271.jpg Bears certainly CAN open car doors…saw it with my own eyes in a cabin up Ski Mountain Road in April 2016. Luckily the vehicle was on a hill so the door didn’t close and he went in and spent a few minutes with a potato chip bag and left. No damage at all. We were lucky! This article says to lock the doors if there is food in the vehicle…it should warn people NOT to leave any food in your vehicle. If they smell it, they will try to get in! Wow! I hope the car door was locked!